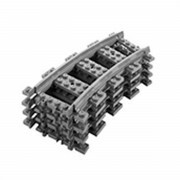 8 x Brand New, LEGO straight tracks for RC (Remote Control) and Lego’s new Power Function trains. A great way to extend your layout! You will receive 8 x Genuine Lego straight tracks as shown in the photograph (Part number 53401). They are brand new and un-used. 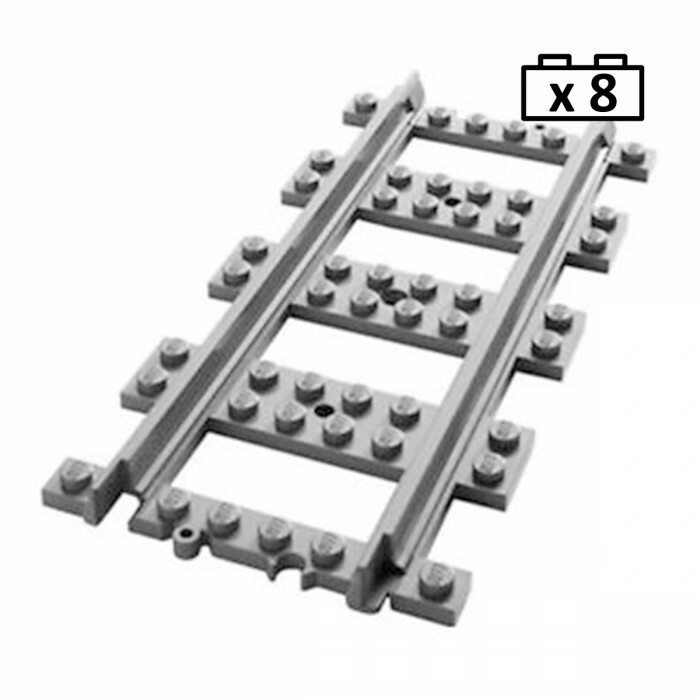 They can be used to extend the LEGO remote control and power functions train sets or to provide tracks for Lego train sets without it. 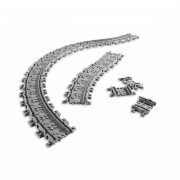 These tracks do not conduct electricity as they are designed for new style, Power Functions trains or push along trains. Old 9v trains will not work on these tracks.